Today, the second in a series of studio clips from AEON‘s blazing Aeons Black recording session has been posted to the band’s Official Landing Page. Sneak a peek at drummer Arttu Mallki punishing his kit for what would become the gargantuan Aeons Black full-length. Already called “one of the best death metal albums of 2012″ in a 4/5 review from Revolver Magazine, Aeons Black is set for release in North America on November 20, 2012 through Metal Blade Records. 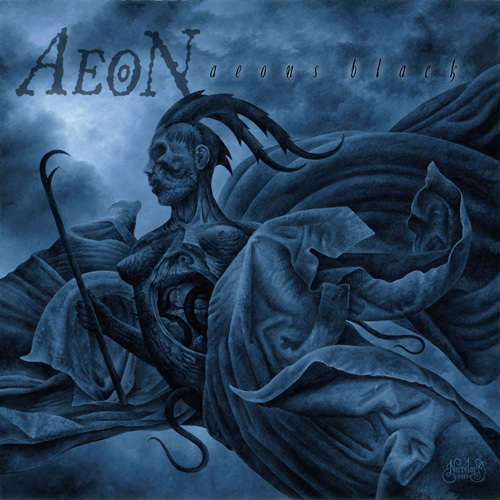 Aeons Black was recorded at Empire Studio in Östersund, Sweden, engineered, mixed and mastered by Ronnie Björnström at Garageland Studios and features striking cover art by Kristian “Necrolord” Wåhlin (Bathory, At The Gates, Dissection, Emperor, et al). In related news, Metal Hammer Germany recently premiered the record’s opening track “Still They Pray.” If you missed it, feel the wrath HERE. Additionally, you can check out the title track and pre-order info HERE.